Family is precious to me. There’s nothing warmer than a hug from someone you love, and nothing better than seeing their smile. So when I got the chance to take my nephew’s senior photos, I jumped at the chance to travel home to South Dakota to photograph him, in downtown Sioux Falls. 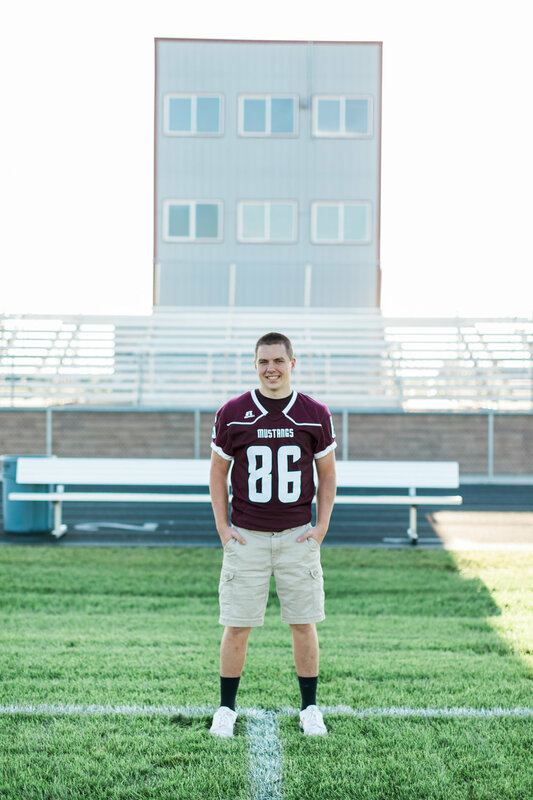 He hails from Tri-Valley High School, and is very involved with sports there. He plays football and softball, runs track, weight-lifts, and when he’s not doing all of those things, he’s volunteering on the Student Council. Out of that list, though, his favorite is football, and he doesn’t want to stop playing when he gets out of high school. However, he’s undecided on whether he wants to head off to college, or into the military. No matter what he decides, I know he’s going to give it his all. When I asked him how his friends would describe him, a couple of the adjectives he thought they’d use were ‘funny’ and ‘respectful’, and they’re spot on. Noah made me laugh so much in our session, and he made it so very fun. He’s also got one of the most upstanding characters you can find in someone his age, and it’s a wonderful thing to see. I was able to capture that character and that incredible personality in his senior pictures, too! One of my favorite photos from the day was of him in his jersey, on the field. You can tell that he’s at home there, and who he is really shines through when he’s out on the grass. In fact, one of the people he looks up to the most is his coach: “My defensive coach is my personal hero,” he said, “he inspires us on the field, and is a great teacher off the field.” It’s wonderful to know that Noah has someone speaking into his life, and inspiring him to do good things. I know that Noah has the brightest future ahead of him, and look forward to seeing where he goes. Congratulations, Noah! True gentlemen still exist, and Brendan’s one of the best among them. He’s a country boy through and through, and he made the session so fun; it went by too fast. He loves the outdoors, so we spent our time out by the fields, a tall woodpile, and leaning against the metal wall of a colorful building I loved. In each of the photos, you can see the charm that Brendan has in his smile, a warm charm that is sure to catch the heart of everyone he meets. The photos turned out wonderful, even if the weather was a bit against us: the wind picked up and stayed throughout the shoot, but we pushed through, and it didn’t seem to faze Brendan at all! His family is one of the sweetest I know, too. His mother is such a wonderfully caring person, and his brother, who I did portraits for a few years ago, is a wonderful man. It’s no wonder Brendan is so polite and warm, he grew up with that same warmth every day. It’s one of my favorite things to shoot outside. It can be a challenge sometimes, what with the wind, or the rain, or the general unknowability of what it will be like on the day of the session. But regardless of any difficulties, the outcome is one that’s worth every effort. The atmosphere of the outdoors is one that you can’t replicate, and the lighting can be so marvelous with a bit of planning and know-how! I love the outdoor scenes, too, like out by a babbling brook, or in a wonderful forest glade. I think what I love most, though, is the hunt to find the best location. I’ve probably scoured the area twice-over, and still find new places with their own unique moods. Each location is special, and a treasure-trove of possibilities. Brendan shares that same love of the outdoors, and you can see how big his smile is when he’s out in his favorite spots. I love capturing that passion in my senior portraits, it’s something that never will grow old. I wish Brendan all the success in the world, and I hope to see his family again soon. Congratulations, Brendan! Maverick’s like his namesake: he’s unorthodox and he’s got a style that’s completely his own, and it looks good on him! We both love downtown San Luis Obispo, so we had the session in some of the best haunts in the area. I loved especially the shot with Maverick in the street, and the light peeking through the trees gave it a great mood. Maverick loves the streets too; he loves driving his VW GTI, and a project of his has been working on enhancing its performance, and boy does it look nice! Maverick’s session turned out so well and we had a lot of fun! I loved getting to know him and capture his personality to commemorate his graduation. And that’s the whole point of a senior session: to capture who you are! Graduating from high school is such a big accomplishment, and one that will only happen once. It’s so important to make sure you capture your style as you’re entering adulthood. It’s something that you’ll want to look back on years from now, like someone would remember the good ol’ days. Sometimes, the guys aren’t too into it, but a senior session is just as good for the men as it is for the ladies, for the same reason: your life is worth remembering! Maverick took this to heart with his photos. He’s such a fun guy, and we had a great time in his shoot. 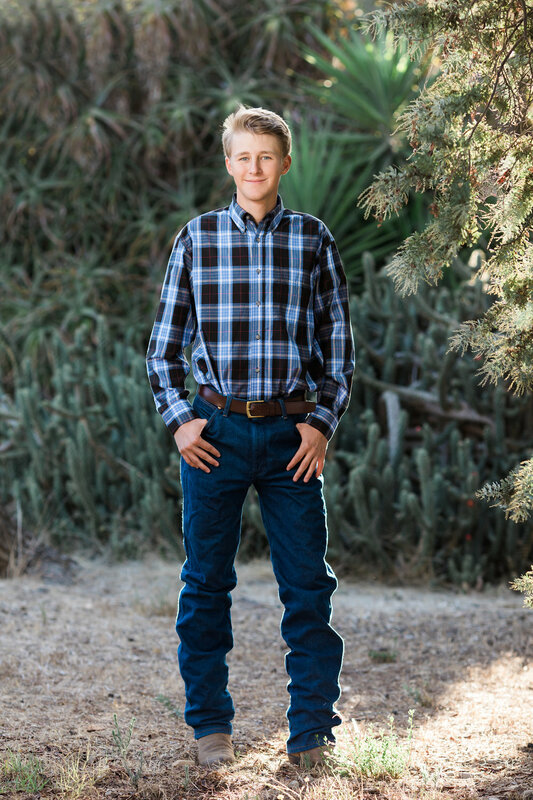 My goal in each senior session is to make sure you’re comfortable and at home in front of the lens, and we were able to really capture his spirit in each photo! Every graduate should have a set of photos that really reflects who they are, and it’s my goal to give you just that. Contact me here to book your session today! There are many misconceptions about what it means to be a man. Often it’s their brawn that’s considered the measure of masculinity, or their assertion and their handyman skills. But true manhood lies in the golden character of the man, the same character that Marc has. 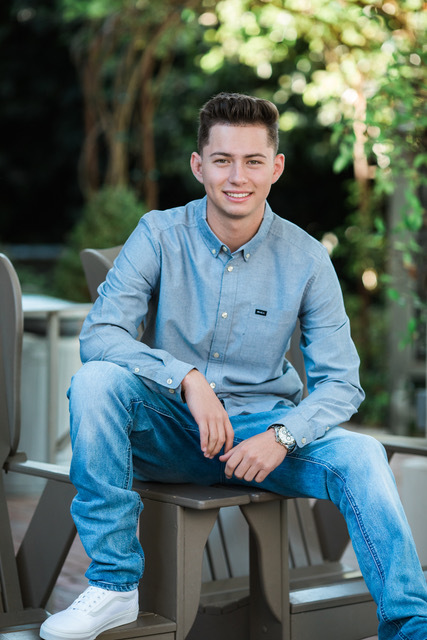 He’s graduating from Orcutt Academy, and he’s looking into four-year universities to study medicine, and hoping for a specific major in sports medicine. He’s made some great memories in the years he’s spent in school: making the varsity basketball team in his freshman year, his first dance, and meeting his first girlfriend. The shoot itself was so fun, and the photos that came from it are something he and his mom will be able to look back on for years. Marc told me that the one person he looks up to the most is his lovely mother: “She’s all I’ve had growing up, and she raised me herself. She’s made me into the person that I am today.” I’ve known his mother for years, and the same care she gives to her son, she gives to her patients as an ER nurse. The both of them are a gift to me, and I love to have the privilege of capturing memories for them both! Marc is truly a man of golden character. He’s compassionate and caring, like his mom, and he loves to listen to you and give you his full attention. He’s a determined guy, and he has a drive to accomplish all that he can in life. He’s been playing basketball and volleyball for years, and he’s fantastic at both. He’s one of my VIPs this year, and that means he gets to participate in what I call ‘playdates’, which are random days throughout the year when I have an idea that I want to try out. Only the JMPVIP’s can participate in the couture shoot every February, a themed shoot that lasts all day long. It’s such a fun time for me and all of my VIP’s! I’m so happy to be a part of Marc and his mother’s life. They’re both equally warm and wonderful people, and it’s an honor to continue to work with them. I’m so excited to see what’s in store for Marc, and I look forward to the next session. Good luck, Marc!